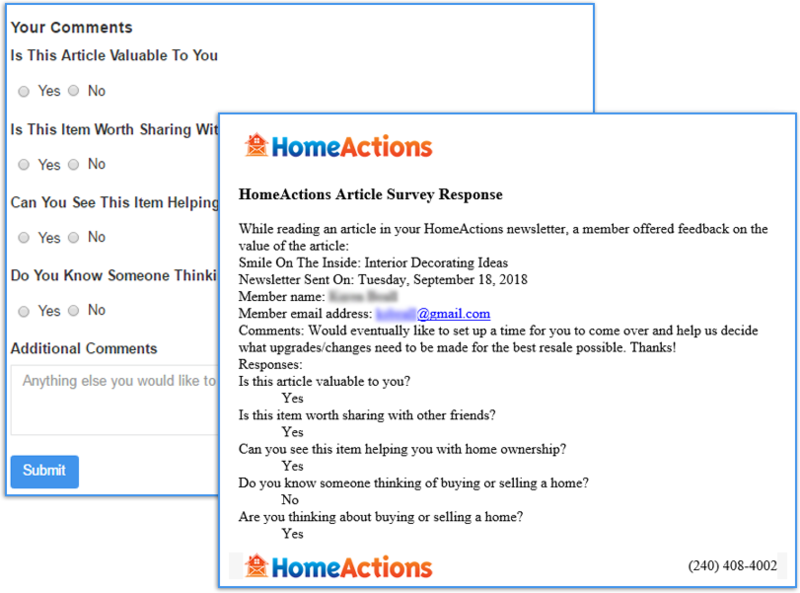 HomeActions Article Survey Tools show you which of your readers are engaging with your email newsletter and deliver engagement alerts. 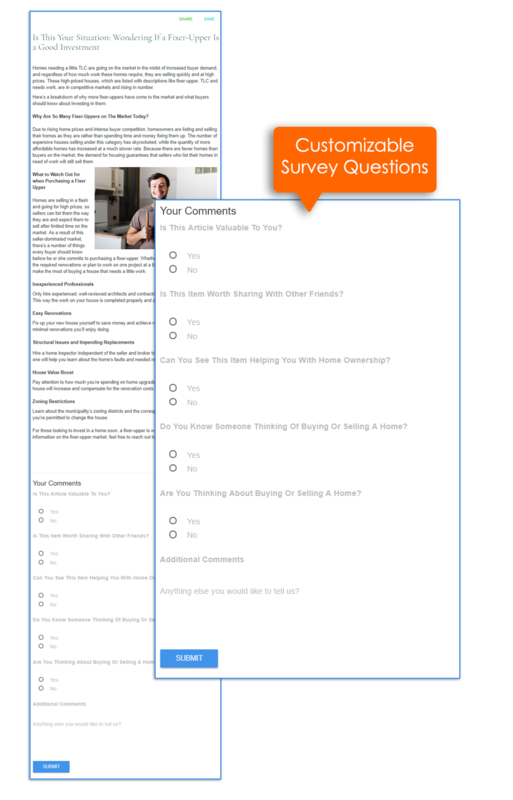 We automatically add basic survey questions to the closing of each of your articles, even your custom content. Do you know someone thinking of selling or buying a home? This gives you the ability to find out which of your readers are truly engaging with your content. Whether your surveys are the default option or customized, we will email you a notification with the details of your readers’ survey responses as a reminder for you to follow up on your warm opportunity. We give you the survey response details along with your reader’s contact information. You have the option to receive this information automatically or in a daily digest. We also track your survey response history within your reporting and metrics tools.